With the establishment of Cyber-physical Systems (CPS) and the Internet of Things, the virtual world of software and services and the physical world of objects and humans move closer together. Despite being a useful means for automation, BPM technologies and workflow systems are yet not fully capable of executing processes in CPS. The effects on and possible errors and inconsistencies in the physical world are not considered by “traditional” workflow engines. 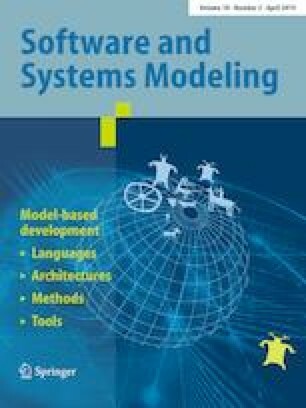 In this work we propose a framework for self-adaptive workflows in CPS based on the MAPE-K feedback loop. Within this loop monitoring and analysis of additional sensor and context data is used to check for unanticipated errors in the physical world. Planning and execution of compensation actions restores Cyber-physical Consistency, which leads to an increased resilience of the process execution environment. The framework facilitates the separation of CPS aspects from the “regular” workflow views. We show the feasibility of this approach in a smart home scenario and discuss the application of our approach for legacy BPM systems. This research has received funding under the Grant Number 100268299 (“CyPhyMan” project) by the European Social Fund (ESF) and the German Federal State of Saxony. Kudos to André Kühnert for helping with the implementations.